The Alyea black accent table is a balancing act of sorts. This unique table is fun and functional, features 3 tier shelves design. 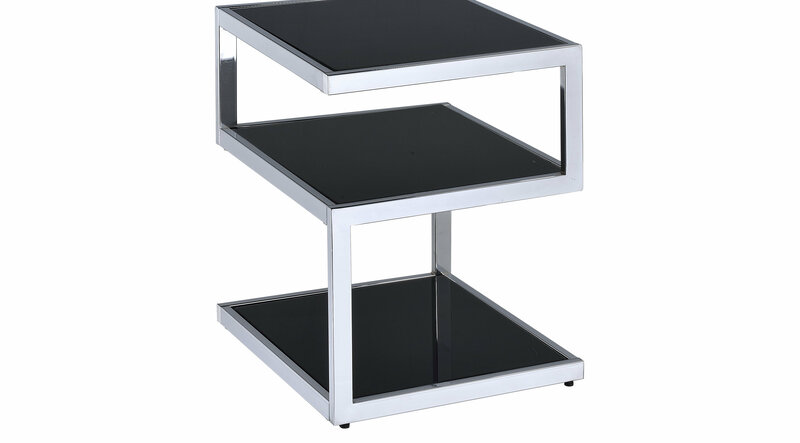 The mix of black glass and chrome metal frame work is a modern style masterpiece.